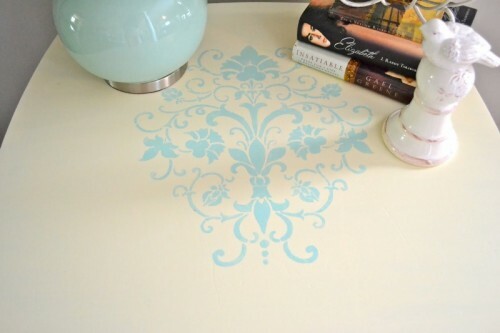 Even a nightstand that somebody threw away can become a great decoration of your bedroom with a little help of paint and a stencil. 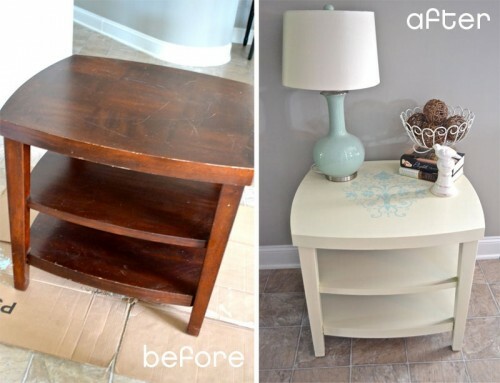 Liz Marie has managed to do that with style. 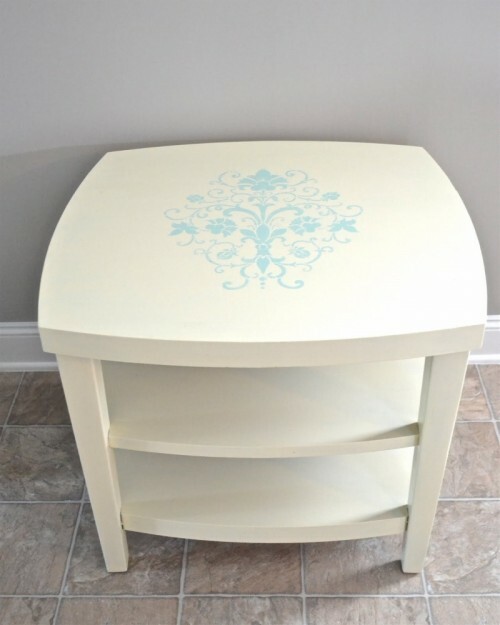 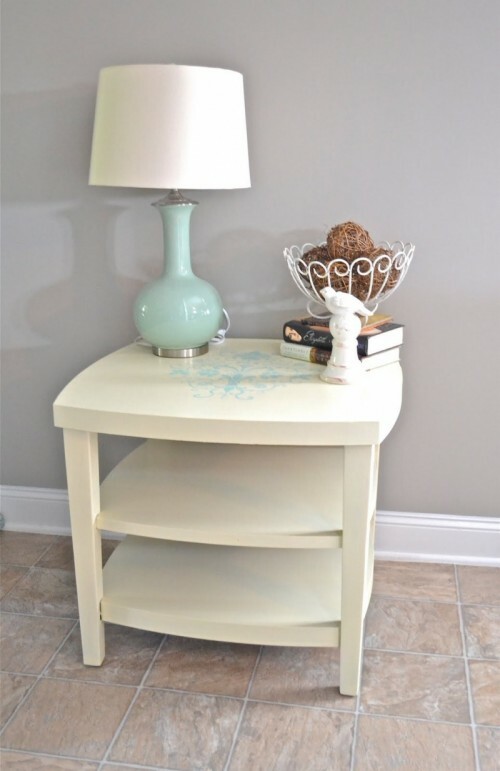 She painted the nightstand she found in somebody’s trash with “vanilla cupcake” paint and using a vintage looking stencil added some charm to its top.